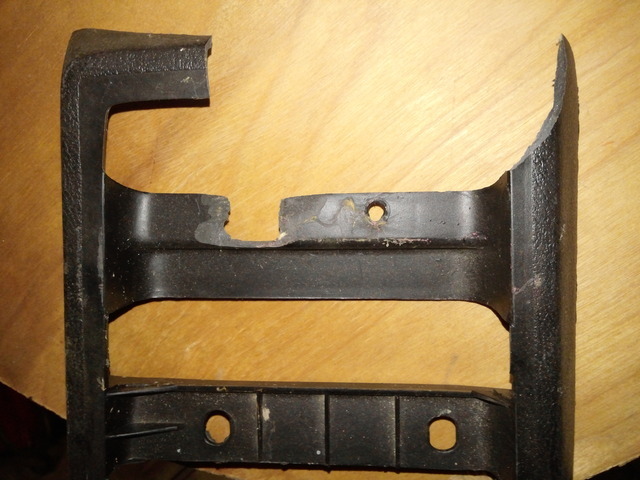 If anyone has a broken/busted center console lying around, I need a piece of it before you toss it. I need the very most front piece. 5 inches of the front would be great. Basically the front to include the first cross piece with the two screw holes. My pic shows the cross piece with one of the screw holes broken. I'd like to mess with this over the winter to see if I can do a nice repair and not toss this console. Especially since it would be really visible being all the way up front. If you have a piece I could use, just pm me what you want for it or if there's something your looking for that I might have to trade. No rush on this. Just another project added to my list of things to do. I think I do, but the one I have may be cracked in the same place...I'll look and let you know.